Entrepreneur Victoria Ransom was raised on a farm in New Zealand. The small community there taught her a strong work ethic and the value of teamwork. Leadership opportunities also came from schooling there, where the small school often put older children in the same room with younger children. Victoria Ransom brought those values to the culture of Wildfire, which hired over 250 people last year in its explosive growth. The social media software company was purchased by Google last year and remains in high demand. Wildfire was started when Ransom and her partner Alain Chuard were looking for ways to promote their adventure travel company Access Trips. They hired developers to build software that could host a giveaway on Facebook at a time when no other applications were available. The application became so successful that it got the attention of venture capitalists, and Wildfire was able to compete in Facebook’s in-house business incubator, fbFund. Wildfire now hosts a whole series of packages to monitor social media activity and metrics for their marketing departments. 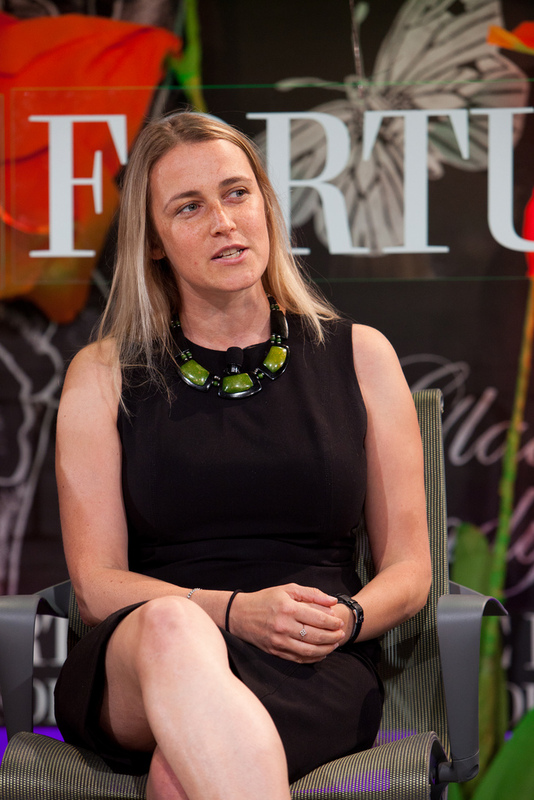 Last year, at age 36, Victoria Ransom was named one of Fortune Magazine’s 40 Under 40 and named Business Leader of the Year by the New Zealand Herald. Wildfire was purchased by Google for $350 million in 2012. In a company that grew from four to four hundred with 21,000 clients in less than four years, Ransom explains the importance of taking a leadership role is bigger than she expected. While she says that she typically shies away from typical corporate structure, employees still look to her as a leader to make decisions and encourage them to keep going. She also says that leaders have to mindful of what they say as the company grows, as newer employees that don’t have a personal relationship with the CEO tend to take things more seriously than what may have been intended. Getting company values in written form is important as well, because they should be used as benchmarks for who to hire, promote and fire. With a growing company, acquisition by Google and true entrepreneurial spirit, Victoria Ransom is well on her way to joining leading female tech influencers Marissa Mayer and Sheryl Sandberg.